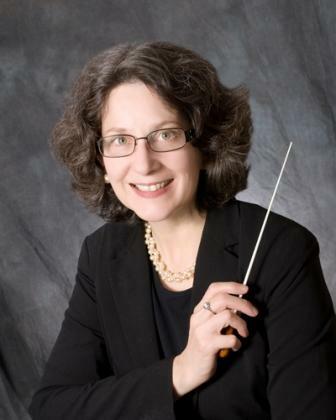 Maria Belva saw a need for choral music education for youth in the Monadnock Region of New Hampshire, and, along with her husband David Vernier, founded the Peterborough Children’s Choir in 1997. Beginning with 20 children ages 7-12, Maria cultivated a community of choral music excellence and expanded the one choir into three with 70 singers by 2010. The choir’s name was changed to the Grand Monadnock Youth Choirs in 2011 to reflect that growth. In 2015, Maria brought Esther Rhoades on board to help grow and strengthen the organization. In May of 2017 Maria passed the Directorship to Esther. Maria directed the Cecilia Ensemble—GMYC’s high school treble ensemble until June 2018. Maria has taken this ensemble on concert tours to Europe every other year since 2003. She plans to take her new high school age choir to Italy in 2020. Maria Belva is a professional choral conductor and private voice teacher. She is a Certified McClosky Voice Technician. Maria has acted and directed for Raylynmor Opera of New Hampshire. She was an active soprano soloist throughout the Monadnock Region, and in this capacity, she has performed leading roles in operatic and music theatre productions and appeared often in churches, community events, benefits, and occasional solo recitals. Maria is a life-long chorister and understands first-hand the impact of creating excellent music together. Founding and nurturing a youth choir for 20 years was the perfect culmination of Maria’s love of children and love of singing! She is very excited to begin a new adventure with the young women of Maine. She has a B.A. i Psychology & Education from the State University of New York at Potsdam and an M.M. in Choral Conducting from the University of Maine.